In the year 2188, humans developed faster-than-light (FTL) warp drive technology that allowed them to finally explore and colonize beyond the solar system. The governments of Earth, distracted by regional conflicts and political infighting, failed to lead in this new era of galactic exploration. Several powerful corporations seized this opportunity, building FTL-capable fleets and setting out to stake their claims away from the meddling bureaucracies of Earth. A massive land grab ensued, with the corporations claiming key planets and systems throughout the Orion Spur of the Milky Way Galaxy. Although this new galactic frontier was vast, some aggressive corporations engaged in territorial armed conflicts over the more valuable planets and solar systems. The biggest corporations, such as Mei Corp. and Northworks, built up their own armies, while some of the smaller corporations hired independent military contractors to defend their claims. Absent any central government authority, and with so many valuable natural resources at stake, small territorial conflicts between corporations quickly devolved into full scale war. The Corp Wars, as they came to be known back on Earth, continued uninhibited for well over a decade. The governments of earth, fearing their extinction, came together in 2203 to establish the Terran Union, the first galactic governmental body. Its goal was to unify mankind by reigning in the warring corporations and establishing official law and order throughout the newly-populated galaxy. 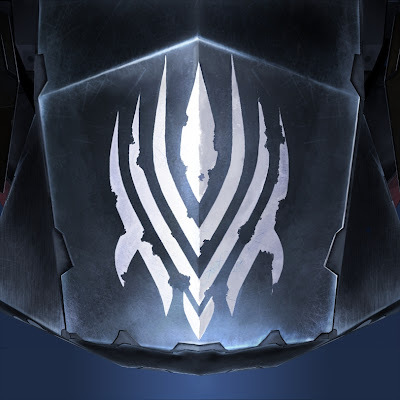 The corporations, however, had invested a lot of blood and treasure in their conquests, and the most powerful refused to acquiesce to the Terran Union’s authority. The Terran Union officially entered the Corp Wars in 2205, when the newly formed Terran Expeditionary Force clashed with APEX forces at the Battle of Winnecke Minor. The Battle of Winnecke Minor was essentially fought to a draw. Terran Union forces had a significant manpower advantage, as a decade of war in the remoteness of space had seriously depleted the manpower of APEX and the other corporations, but Terran Union technology and tactics were far behind that of the seasoned space-faring corporations. Dragmor Industries, not one of the biggest but one of the most technologically advanced corporations, saw an opportunity and approached the Terran Union with an offer: Dragmor Industries would provide the Terran Union with cutting edge military and space-faring technology in exchange for amnesty and manpower to replenish their diminished ranks. With advanced technologies from Dragmor Industries and a plentiful supply of fresh troops from Earth, the Terran Union defeated the remaining corporations and established its authority throughout the Orion Spur. After nearly two decades, The Corp Wars were over. As part of the deal it struck with the Terran Union, Dragmor Industries was allowed to continue its stellar exploration and space weapons development programs. In 2227, during a routine exploratory mission in the Perseus Arm of the Milky Way Galaxy, Dragmor scientists unearthed remnants of a battle between two alien races that had long been buried on an un-inhabitable planet, Omicron II. Although finally discovering evidence of sophisticated alien life would have been a significant event for the human race, Dragmor Industries decided to keep the discovery secret. Instead, Dragmor established a top-secret research facility on nearby Omicron III where it studied and attempted to recreate the alien technologies. Dragmor staff at the research facility took to calling the two alien species the Orvions and the Herulians. They studied the remains of mechs, weapons, cloaking devices, and advanced targeting systems, trying to learn what they could about these mysterious alien species along the way. In 2239, Dragmor scientists succeeded in reverse-engineering and bringing online the first of the Orvion mechs. Testing of these new and unproven technologies became top priority. Mech test-pilots were needed, but despite the best in safety technology, it was dangerous work, and secrecy was imperative. Dragmor intelligence operatives carefully scouted the galaxy for POWs, unsettled Terran Union veterans of the Corp Wars, and criminals with military or mech piloting experience and offered them a deal: Come work for us on an exciting new project, and you will live like star athletes, but you will be cut off from all contact. Many signed up, eager to leave prison or looking for a new sense of purpose, and moved to the lavish new crew quarters on Omicron III. The new test pilots engaged in live combat simulations, experimenting with different mech configurations for military applications. Various environments were constructed on Omicron III, such as an urban metropolis, to better facilitate these combat tests. Legacy Terran Union mechs, Dragmor Industries prototypes, and reconstructed alien mechs were pitted against each other in various weapons trials and combat scenarios. The tests eventually led to the integration of human and alien technology. This classified program was officially titled Industrial Mechanized Applications. Among the test pilots, it was known as iMech.